Just help a god to stop a falling meteorite by exerting its powers back to him. Sounds a bit much for the beginning. 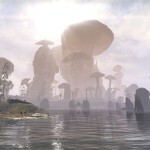 But it is fortunately not in reality so, but only in the new expansion to The Elder Scrolls Online: Morrowind. The game takes you to the capital Vivec, which is named after one of the tribunes of the three tribes. Once you have helped your canons, you are invited to meet Prince Vivec personally. This reveals to you that he is just getting worse and he is getting weaker. As you have already proved useful and helpful, he asks you again for help. And do not hesitate for a long time and help of course. So you go on the search for the cause of its dwindling power and travels the whole country. Of course many more requests from the citizens await you. 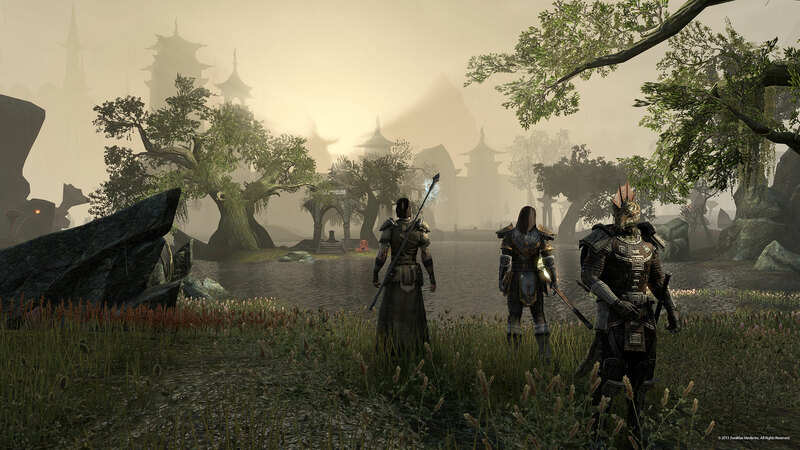 In the Elder Scrolls styles, you can deal with other tasks for days, instead of saving Tamriel. Nevertheless, this remains the main task and is, at least by us, first addressed. On your journey you collect some objects and equipment as you know it from rolling games. Likewise, you are diligently collecting materials for the production of different things. Everything as usual. You can of course also use these after short introductory quests to the individual crafting types and make abundant equipment, food, glyphs and potions. Now we know enough from different games of the series. With The Elder Scrolls Online, it is just the special thing that you no longer wander alone through Tamriel. At the same time, all other players are online who are online. This gives a completely different and special player experience and atmosphere in contrast to the single player parts such as Skyrim. The whole feeling changes through this difference. When you enter a dungeon, you are no longer alone there. Maybe you are lucky and you are the only ones, but usually this is not the case. So it can happen that you fight with your brand new character Level 3 the same Dwemer creations as someone who is already level 612. A bit weird, but it’s a bit tense at TESO. The level upper limit is 630, so you have a long way to go. If you enter this part of the series or if you have only played Skyrim before, there are some aspects that you have to consider. Before, you had a certain limit, which you could carry weight. Here it is now the case that you can initially have up to 60 different items in the inventory. How many of you have a variety here is not decisive here. So you can haul a lot of natural water or thieves with you without paying attention to the crowd. In addition, you must find recipes during your adventure. If you want to make a rose tea, for which you only need rose petals, your character does not come up with the idea of producing this only if you have not found the right recipe. In any case, something very small of Bethesda at this point. Here it would have been desirable to combine ingredients with a simple experiment to a meal or a drink – just as with potions it also works strangely. If you have too many items, you still have the option to access a memory in the bank. If you are a member of a guild, you can also use the guild of the guild. In addition, in exchange for gold, you can also extend your carrying capacity or your bag with special handlers. However, this becomes more and more expensive. The more you want to expand your payload. Obviously, you are diligently gaining experience in all the things you experience and master. So you gradually rise step by step and approach the big 630 more and more. Each time you climb, you can spread several points. Once you have the choice between raising your Magicka, your life points, or your stamina. Afterwards, you have the opportunity to learn skills or improve already learned skills. These are divided into different categories. On the one hand, you have your typical skills of your chosen class, as well as various craftsmanship skills and, on the other hand, skills of your armor and weapons. So there are already differences between the classic parts of The Elder Scrolls and the Massively Multiplayer Online variant. Nevertheless, it remains a classic Elder Scrolls and lets you travel several regions one at a time or at a time. It connects the individual stories with each other and lets you experience multiple experiences. What many of you have certainly wanted.